This trend is just going to continue if we don't do something soon. Summer is rapidly approaching and bringing along with it the highest temperatures of the year, for most of the world. 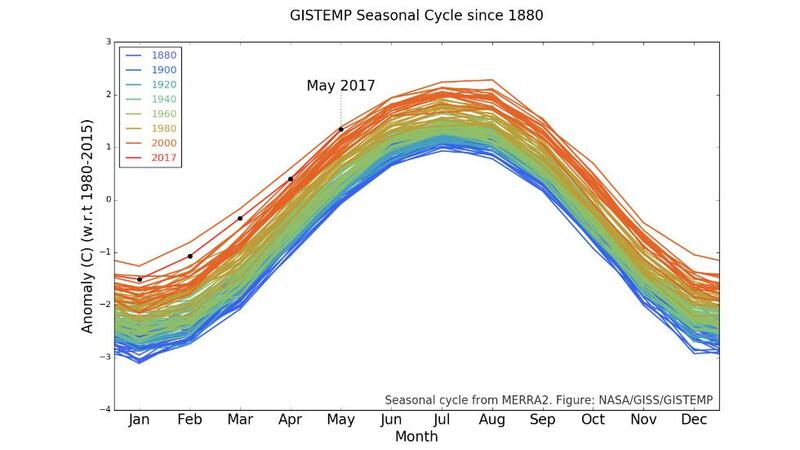 It already seems that this year will be keeping pace with recent years and offering up some of the warmest months in all of recorded history. Global climate change is clearly the culprit as human activity continues to contribute to global temperature rises. The Paris Climate Agreement set to address this issue by capping this temperature rise at 2 degrees Celsius. However, experts assert that not even this is enough to save our planet. Even more, there are threats to the effectiveness of even that agreement as the Trump administration recently announced its intent to remove the United States from it.There is still hope, though. Leaders across the United States have defied that intention with promises to uphold the accords, despite the administration. Solar power is also increasingly becoming more economically palatable and will soon become cheaper than coal, eliminating a major source of pollution.